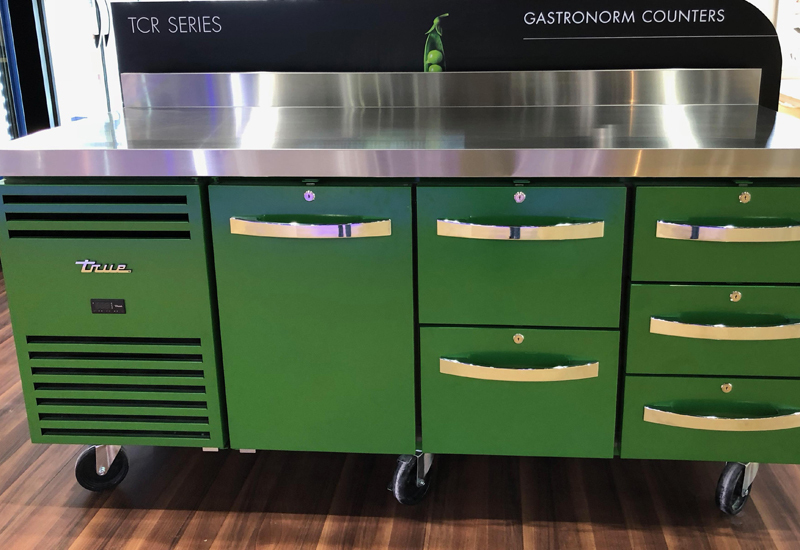 Catering equipment firm Moffat is expanding its popular Versicarte mobile counter range, with the launch of the new ‘pop-up’ models. 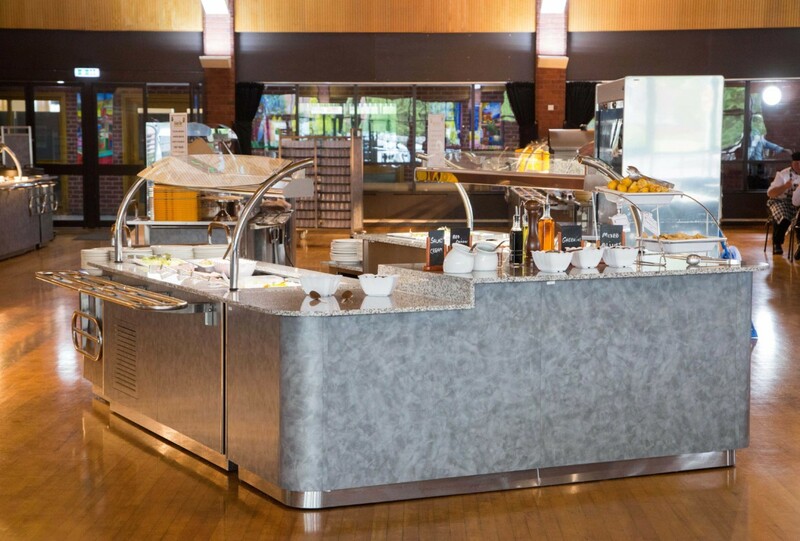 The range of compact hot, cold and ambient mobile displays can be set up to serve specific types of food away from the main servery area, reducing bottlenecks, according to the manufacturers. It has worked on maximising visual impact by accommodating eye-catching magnetic graphics that can be easily removed and changed to promote the latest menu items or to display the venue’s branding. 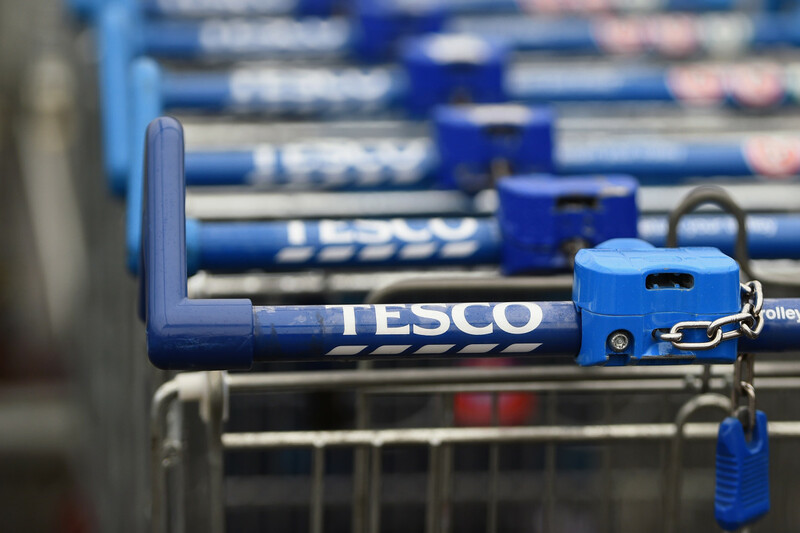 As the signage can be refreshed easily, the carts can help boost meal take up by reflecting new menus, initiatives or to promote specials or themes. 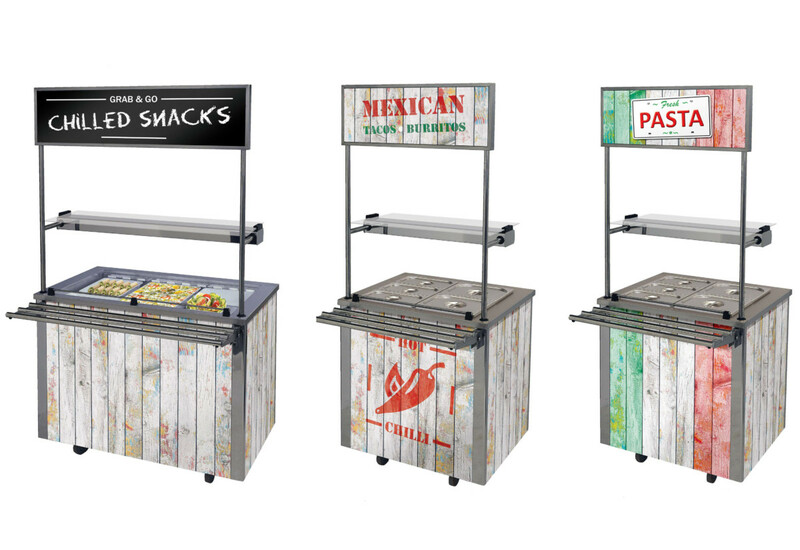 The Pop-up Versicartes are available for hot or cold food. The cold model features refrigerated wells that are ideal for keeping chilled salad and snacks at safe serving temperatures, while the heated model features a bains marie to keep menu items at the optimum temperature. All heated units have Moffat’s Sahara fan heating system. The units run from a standard 13amp plug, meaning they can be quickly moved and re-sited where needed. 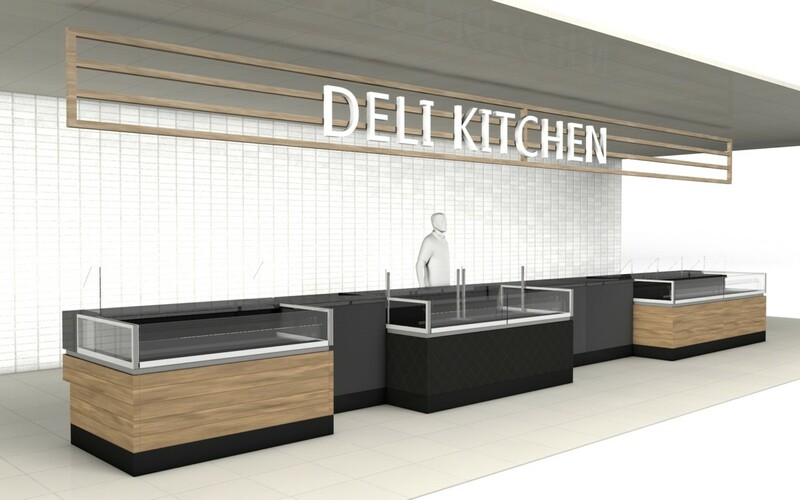 Each cart features an illuminated gantry, with safety bulbs, and a glass shelf to show food off to its best advantage, while a glass sneeze screen protects the food. 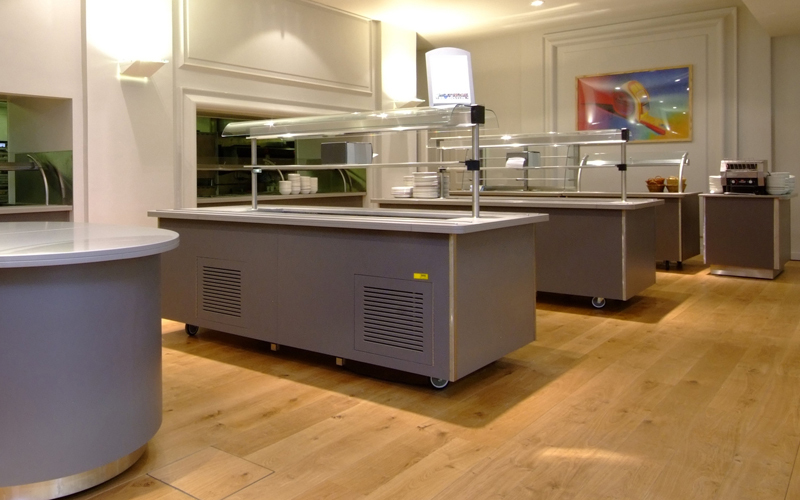 Optional tray rails and slides and drop-down end shelves can be used for maximising profits through impulse purchases or for storing condiments and napkins. The Pop-up Versicartes come with a two-year warranty.